Used for the purpose of determining the direction of wind, the offered Wind Sock is one of the finest that is available in the market. Manufactured as per the set industrial norms and guidelines, its quality never deteriorates. In addition, the product has a longer service life. Made available to the clients at the best rate possible, its demand in the market is quite high. 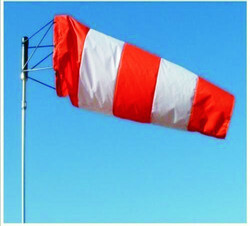 Looking for Wind Sock ?